Taking desktop browser privacy patterns and translating them for mobile provides us with an interesting challenge. How might we embed privacy choices at the operating system level, as opposed to being held within a single app? While it's important that people understand how cookies work and have meaningful choices about them, just about everyone agrees that cookie banners aren’t the best way to promote this understanding and choice. Which alternatives can be found to give people a more general level of control, and still be able to decide from time to time which type of cookies will be used to improve a specific experience? The cross-functional Design Jam team members challenged themselves to consider how they might transfer a browser solution from the web into settings for a mobile operating system. The team designed a privacy and tracking feature that could be added to the phone's settings in the form of a control panel. 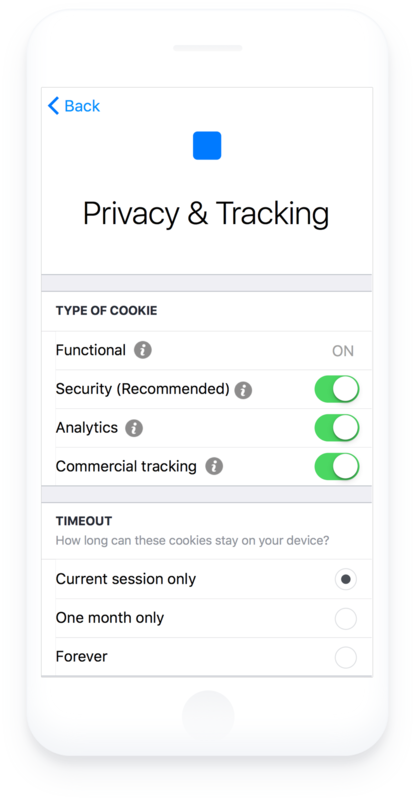 The service works by letting people see an overview of the websites and apps that collect cookies so they can more easily keep track and manage consent. Granular control is made possible by providing the option to select how, and for how long, cookies will be used. 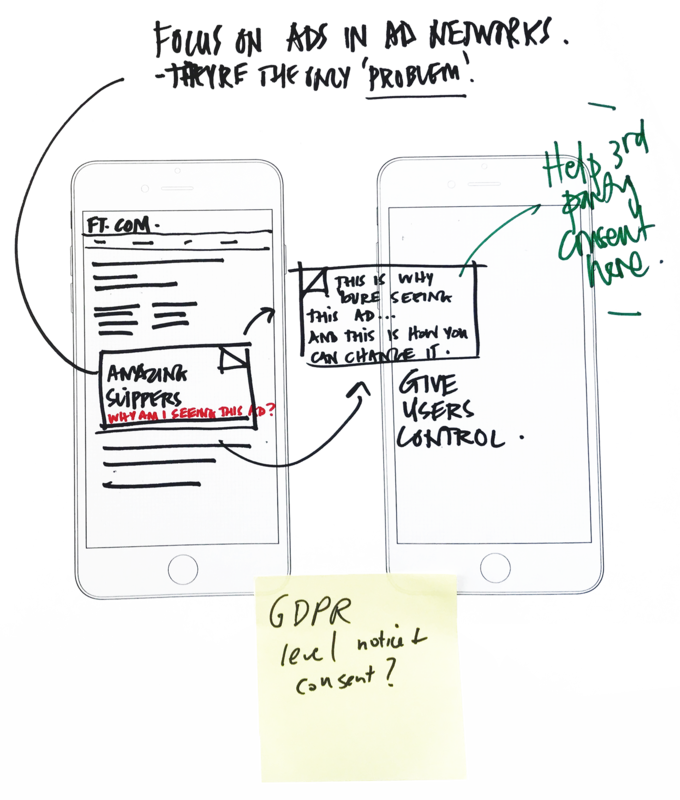 The ideas for cookie controls are timely with General Data Protection Regulation (GDPR) and ePrivacy Regulation approaching. Turning good regulatory intentions, around the use of marketing technologies, into meaningful and effective features requires further innovative thinking.